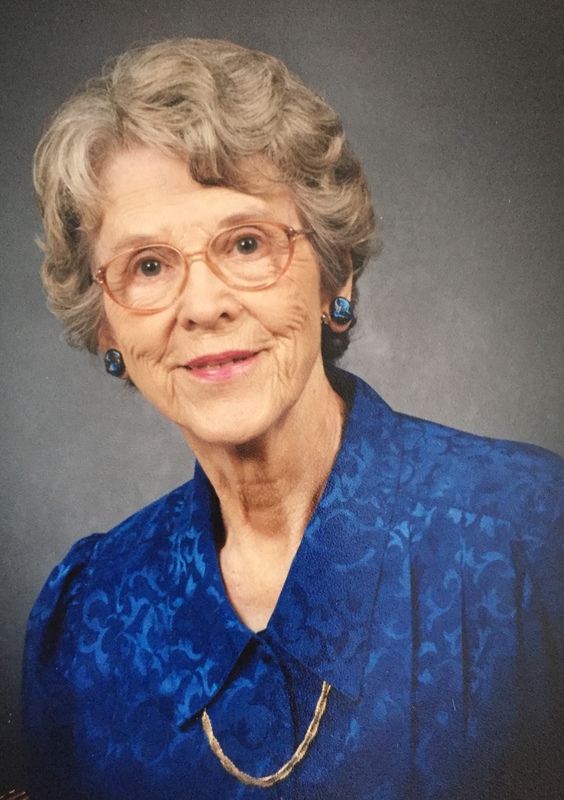 Thelma Anderson Fallen, 90, of Keysville passed away on January 16, 2018. Thelma was a devoted Christian and her life reflected that love through her sweet disposition for others. She was an energetic lady who enjoyed the outdoors and spending time with her family. Wife of the late James Fallen, she is survived by her daughters, Linda Caporale (Joe), Wendy Gay Wright, and Dawn Bacon (Jeff); her grandchildren Ty Crandol (Suzy), Jacob Bacon (Cara), Wendy Harrison, Leigh Anne Brewster (Brandon) and Todd Wright (Amy); great grandchildren Carrington Brewster, Libby Crandol, Avery Bacon, and Jillian, Berkeley and Harper Wright; and numerous extended family members. A funeral service will be held at 3 p.m. Sunday, January 21, at the Browning-Duffer Funeral Home in Keysville with interment to follow in the Union Grove Baptist Church Cemetery. Family will receive friends at the funeral home from 2 to 3 p.m. Sunday. In lieu of flowers or food, donations may be sent to the treasurer of Union Grove Baptist Church, 5134 Old Mansion Road, Lunenburg, Virginia. The Browning-Duffer Funeral Home in Keysville, VA is serving the family. Mrs. Fallen was a great lady! Always with a smile and kind greeting, she would ask how you were and about your family. She truly was a walking example of her faith. She will be missed by a lot of people. So sorry for your loss. I pray that the sweet memories you all have of her will comfort and bless you during the days ahead. Mrs. Fallen was a wonderful neighbor for 13 years and one of the sweetest ladies I ever met. So sorry for the loss of this lovely lady. She was the sweetest aunt. I fondly remember summers staying in Keysville helping out on the farm watching Aunt Thelma churn butter and making her own biscuits. I always thought she was so beautiful. Rest in peace lovely lady and I know my dad is glad to be with you. Thelma was a sweet lady who stayed with my aunt for years as a companion. I am so thankful for her loving ways and we send our sympathy to her family. Mrs. Fallen was almost like a second mother. She was a sweet lady who dearly loved her family. I have fond memories of her. My condolences to Gay and her family. So sorry for your loss Dawn. Thelma was a second mother to me growing up. She had such a kind heart and loved her family more than anything. Although it has been many years since I’ve seen her, I thought of her and her family often. She will be greatly missed. I was so sorry to hear of Mrs. Fallen’s passing. She was a good church friend, neighbor, and coworker to my Mom and just an inspiration to me growing up. I always admired her strength, elegance, kindness, grace, and dignity. When my Mom passed, she made sure to send me a sweet sympathy card. And I will forever be grateful for her thinking of me. I know the family and community will miss her. God Bless. I’m so sorry for your loss. I will always remember your mother as a very sweet and kind lady when I attended Union Grove church. My children met her at the church and whenever I saw her throughout the years she always asked about them. She was always so kind and always smiling. For now, you are saying Good Bye to the bittersweetness of your loss and concern of the last several months. But I also know even now your hearts are beginning to fill with the essence of her sweetness, love and strength which will be with you forever and forever. Such is the gift of God. We we’re blessed to enjoy your mother company during meals at the woodland. She was a gracious lady. Jack, Edith Ann, Katherine, and friends. We are so sorry for the loss of this wonderful, kind lady. Your family will be in our prayers. I know Baba will be happy to see her. Linda, Gay, Dawn and family.. I am so very sorry to just hear about Thelma’s passing. Your Mom was absolutely one of the sweetest ladies I ever had the pleasure of knowing. She was not only beautiful on the outside, but just as beautiful on the inside. I know you will miss her terribly but know she is rejoicing in heaven. My thoughts and prayers go out to each and every one of you..